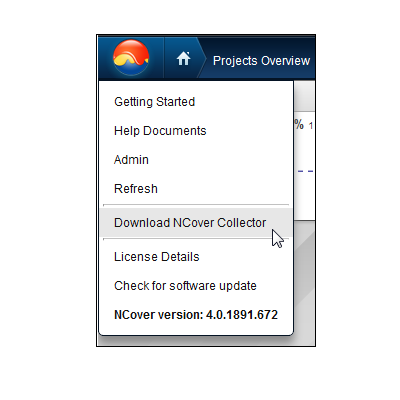 Now that Code Central is installed and registered, you can create coverage projects and start collecting data. The local Collector will cover the unit test, executable or service as configured in the Code Central project, gather the coverage data every time your code runs and then send the results to Code Central. Log in into Code Central with a valid username and password, created earlier in Code Central. Code Central will download the Collector installer. Run the installer and you'll be prompted to connect to Code Central.